It’s berry season!! Here is a quick salad recipe you can enjoy before fall hits us 😣What I love about this salad is that it is fun and the possibilities are endless. You can mix and match with your favorite berries and protein, and you can also top with any nut of your choice. 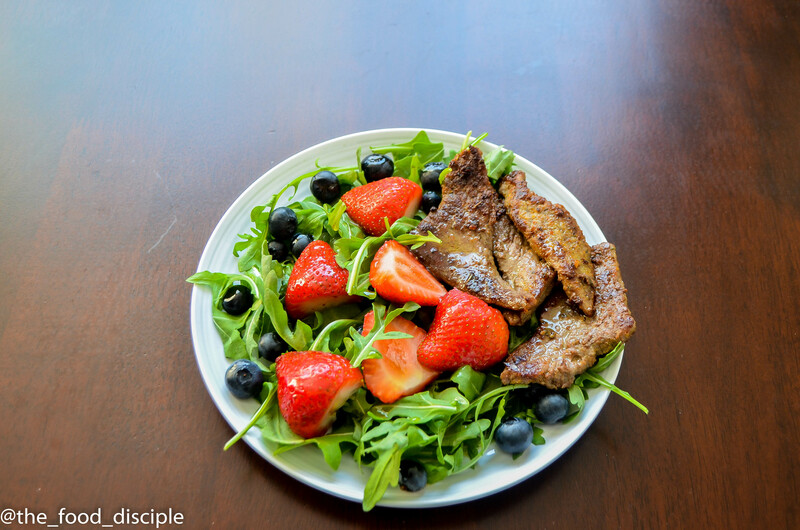 I prefer to have this salad with steak but you can enjoy this salad just as it is; simple and delicious 😋. 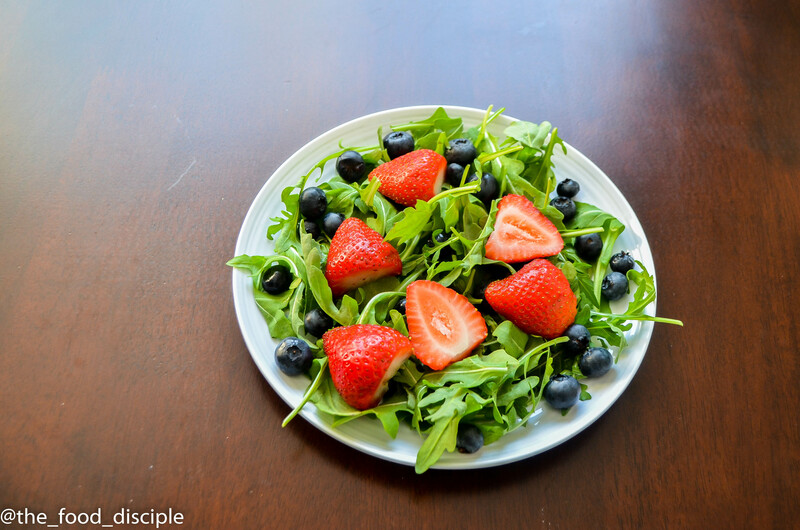 I used my leftover strawberries and blueberries for this recipe and it was great just as simple as it is. I got a lot of reviews from my clients and friends and one of my guy friends who hates salad, fell in love with this. Step 1 Season steak with black pepper, ground garlic, chili powder, seasoning cube and 2 tbsp of Olive oil. Add salt according to preference and marinate for at least 30 mins. Step 2 Heat 2 tbsp of Olive oil in pan, and when oil is hot add steak to pan and cook on both sides until well done. This should take about 8 to 10 mins. Set aside to cool. You can also cook your steak according to preference but I love mine well done. Step 4 To make Vinaigrette, combine ¼ cup of Olive Oil, Red onion, Balsamic Vinegar and Honey. Season with salt and pepper. Place Vinaigrette in the fridge to marinate and soak up all the flavor from the onion. Step 5 Your food is ready!! 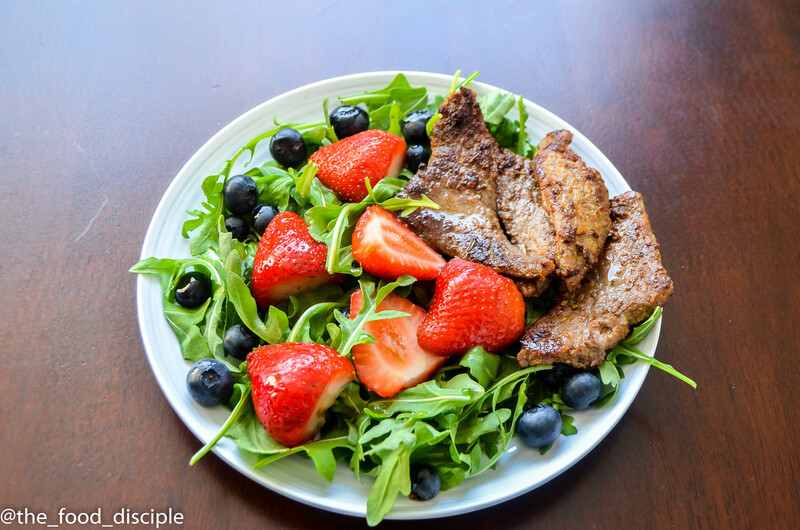 Mix salad with Vinaigrette and top with steak when ready to serve.